Nonprofit professionals: Please join us for lunch, networking, an overview of PULSE and the specifics of a PULSE nonprofit partnership. 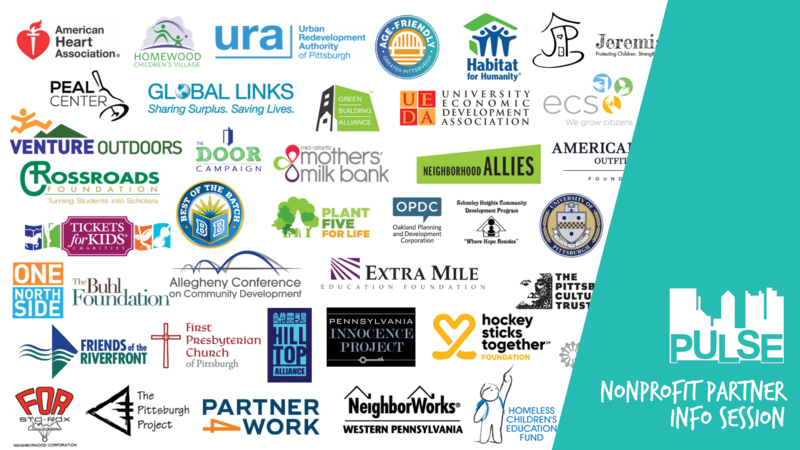 On 1/30/19 from 9-10am, PULSE will be having another prospective nonprofit partner info session at Habitat for Humanity of Greater Pittsburgh. To attend this info session, please RSVP.